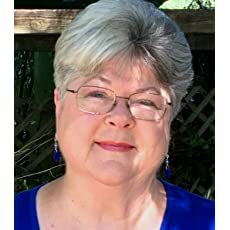 Marcia Meara is another amazing blogger, author and poet who is hugely supportive of other bloggers, writers and poets. Marcia blogs at Marcia Meara and shares lots of wonderful reviews of a wide spectrum of authors books. Summer Magic: Poems of Life & Love is a collection of contemporary poetry about exactly that–life and love. The first part of the book features poems about the magic a young boy discovers while camping in the Blue Ridge Mountains. The second part of the book has a sampling of poetry about love, life and death, autumn, and dreams coming true. This book comprises the most beautiful freestyle poetry by Marcia Meara. The poetry is divided into two sections, the first is about the magic of life as experienced by a ten year old boy and the second is about love. What a wonderful book, Marcia. It is easy to review great books. Congrats, Marcia. Robbie does such mindful, insightful reviews. I didn’t know you had a poetry book. Must investigate! I love the quote too. Hugs.